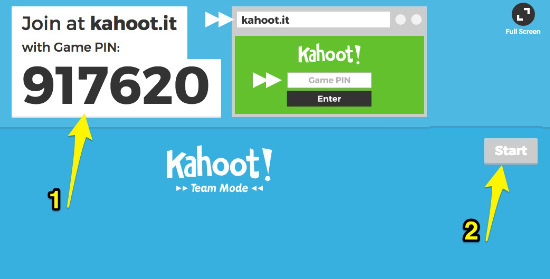 I read a blog post by Jesse Joyner about Kahoot - a free, online service you can use to give fun quizzes to groups. It sounded so fun I immediately wanted to try it in kid's church. 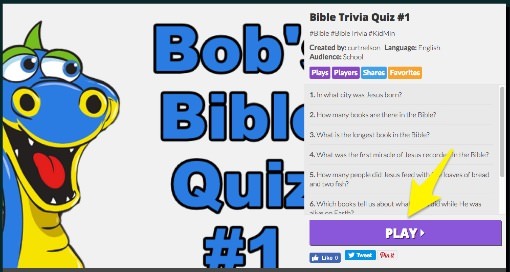 So I set up a quiz online, and during children's church I projected the quiz website on our large-screen and asked all the adult volunteers to pull out their phones and enter the PIN for my quiz. Then kids huddled around each adult and competed in the fun Bible Trivia quiz and watched their progress on the large-screen. The kids were SO into it! 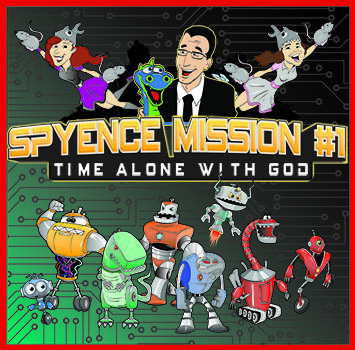 So here's some brief instructions on how to do it in your children's ministry, and the link to the two quizzes I created. 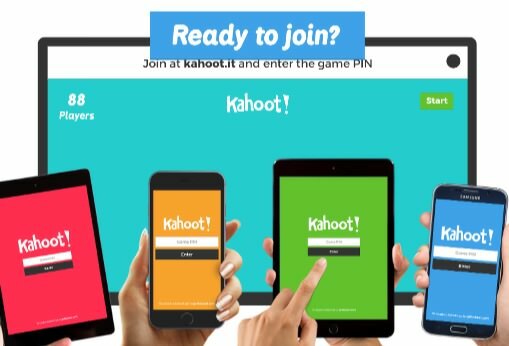 First, go to getkahoot.com and click on "Sign Up For Free!" Then choose the option "I want to use it socially" and set up your username and password. 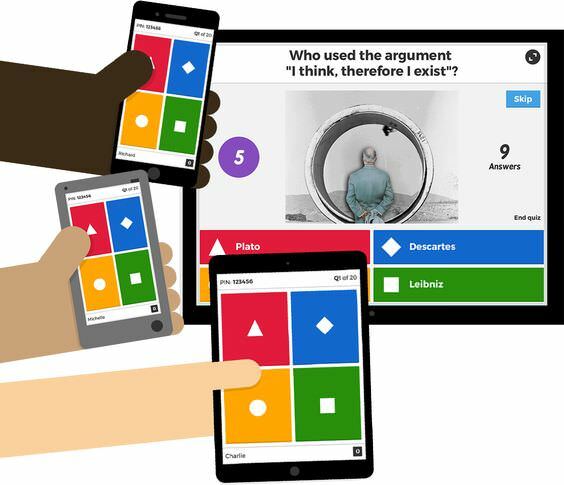 Click here for a good starter quiz. It has 7 questions, all fairly easy. 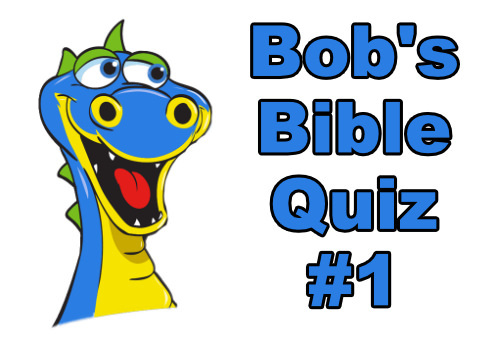 Click here for a fun follow-up quiz. It has 10 questions, with some harder ones thrown in. After you click on one of the quiz links above, you'll be taken to a page like this. Click "Play" and on the next page, click, "Start Now." You don't need to change any of the game options. But you do need to decide on a game "mode." The kids will still play as teams, but it's much easier in classic mode. Wait a few seconds at this screen. There's nothing to do on this screen. It will automatically proceed to the next screen in about 10 seconds. You can use this time to have kids huddle up with the adult who will be their team leader. Then it will automatically go to this screen. That page will ask them to enter a PIN to join your quiz. In this case, it would be 917620, but it will be different each time. Then it will ask them to enter a team nickname. Encourage them to pick something fun. As each team enters their nickname, it will show up on the large-screen (which the kids think is awesome). When each team has entered their name, you click the "Start" button (as shown with arrow #2 in the graphic). Then the large-screen will show the question, like this. And each leader's cell phone will look like this. 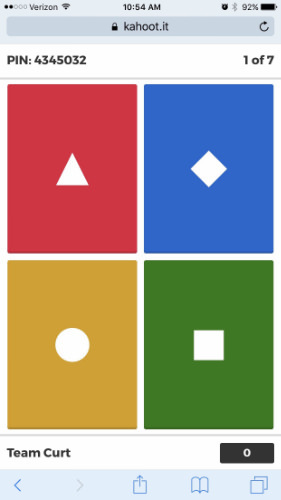 The kids can discuss their answer, decide on one, and push the correct button on the phone. 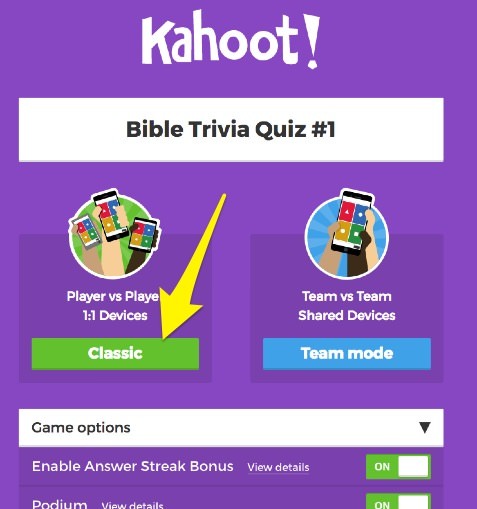 When each team has answered, the large-screen will show the correct answer, and give a running total of points for each team. At the end, it will show the winners! So, try it out - I bet your kids will love it. 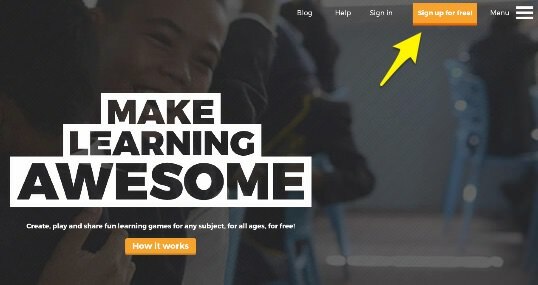 And you'll want to start writing your own quizzes. When you do, send me a link to them so I can share them with the kids at our church! 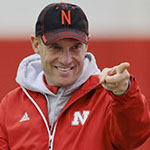 And if you have any questions, just let me know he﻿﻿﻿﻿﻿re. I'd love to help you out. 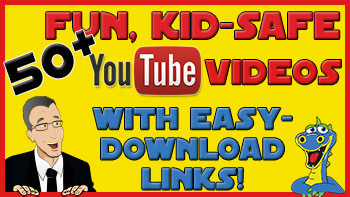 And while you're here, get our guide to 50+ Fun YouTube videos for children's ministry!